A recent Onion article poked fun at the speech controversies on campus with the headline “Berkeley Campus On Lockdown After Loose Pages From ‘Wall Street Journal’ Found On Park Bench.” As is often the case with satire, the article brought some critical issues to the fore that many of us around the nation are grappling with inside the classroom and in the public areas on campus. Controversies at a number of higher education institutions around the nation have highlighted some tensions around difficult issues. I will not belabor a detailing of what has happened at Berkeley, Middlebury, UCLA, and other campuses, but you can find a listing and an interesting response from students in this Inside Higher Education piece. 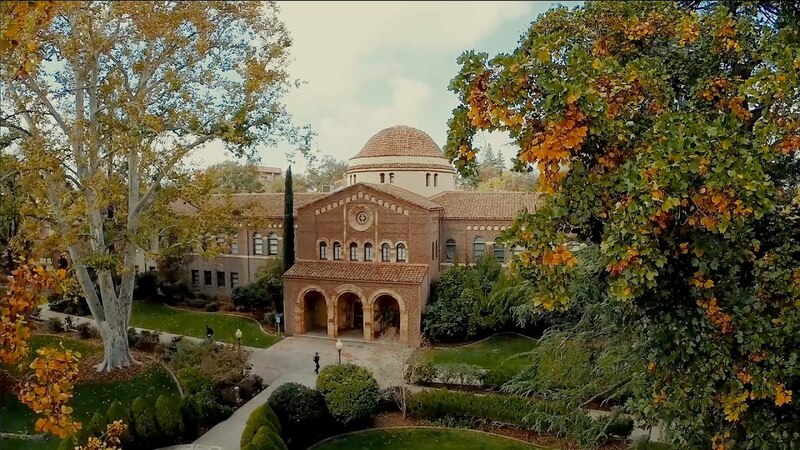 Rather, I want to highlight some of the important work done at Chico that represents how we should engage controversy and invite you to participate in the forthcoming dialogue at the CELT conference to continue those conversations. Chico is home of some longstanding events that engage students in civil discussions on controversial issues. The Town Hall Meeting and Great Debate have showcased active engagement in and out of the classroom and become models for other campuses around the nation. If you are looking for help in and out of your own classroom, you do not even have to step off campus for advice from First-Year Experience and Civic Engagement. A recent incident on our campus showcased some of the best Chico has to offer when students engaged in creative counter-protest of a controversial speaker in the 1st street mall area. The question of “what is up for debate?” was central to our selection of the 2017 CELT Conference theme, Revitalizing Truth Through Education. We are not courting controversy, but we are asking you to address it. What topics are off limits in your courses? What gets brought up unproductively? What do we do when controversy erupts? Lastly, I want to let you know how pleased we are to welcome Dr. Josh Trout as the new Director of Faculty Development starting in Summer 2017. We are all excited to see where Dr. Trout takes the campus next and eager to support him. The call for the 23rd annual CELT conference is live! Submit an abstract today to change the world tomorrow—or maybe in October. Don’t forget to subscribe to the Caffeinated Cats podcast. Our newest episode is out now! President Gayle Hutchinson joins Mary, Tracy, and I to discuss the bright future of CSU, Chico. Link to it on soundcloud, itunes, overcast, or follow the podcast on facebook. It is late Spring, and you are scanning your classroom as students walk in. To your horror you see textbooks still wrapped in plastic, others that appear to have never been cracked, and many students who arrived with no book at all. Later you reference an example from the text in an activity or lecture only to be confronted with an ocean of blank stares. Your experience is one many of us have had, and we wonder why aren’t they reading? If you would like to distribute these to your class, but need some help and have some additional items you would like to use email us at FDEV@csuchico.edu, and we will do the work for you. For 2017/18 Faculty Development and Statistics professor Edward Roualdes have secured a $50,000 grant to encourage the adoption for lower cost course materials, so if you want to explore some of these options to increase access for your students, your window of opportunity is now. These are complicated issues with a variety of perspectives. Read this recap of a recent debate if you think otherwise. We encourage you to consider working with us next year to lower costs and increase access for students at Chico. Please fill out this form if you are—this is not really an application, just a way for us to stay organized. If you have a high cost textbook and want to work with some folks to explore alternatives, you are in. Don’t forget to subscribe to the Caffeinated Cats podcast! Our newest episode is out now! Mary, Tracy, and I take on seven topics in 30 minutes! Link to it on soundcloud, itunes, overcast, or follow the podcast on facebook. I left the address with those words stuck on repeat in my head. I was thinking about the ways we rise to meet those challenges and how we try, fall short, and get up to try again. Mainly I thought about the phrasing. This is not a directive or a question, it is a promise, which led me to think about who we are making this promise to and how we will make sure we keep it. Faculty Development relies on an empowerment model rather than on expertise. If you were looking to us for answers, the best tool we have to offer is a mirror. Today I want to point you to the currently active options for enrichment offered through our office and encourage you to think about them as opportunities to learn and teach. More than anything, think of them as ways to keep our promise not that we can, or that we will try, but rather that we will. zjustus@csuchico.edu. All applications due on 3/31/2017. Brief Description: You are invited to participate in Academy e-Learning (AeL) Cohort 9.1, launching with the first of this summer’s one-week institutes –Teaching with Help. During this intensive institute, we will explore highly effective strategies for mentoring and working with TAs/mentors so you can realize their full potential and value in your course(s). Your work during this institute will focus on incorporating assistants, in all their forms, into your courses in meaningful ways. Brief Description: You are invited to participate in Academy e-Learning (AeL) Cohort 9.2, the second of this summer’s one-week institutes. In recognition of the campus’ on-going interest in high impact educational practices, this institute is focused on supporting students’ writing. Brief Description: You are invited to take part in a one-week writing boot camp. Applicants are expected to be physically present and participate all day. Since our goal is substantive writing, it is most suitable for projects that are already well under way. Brief Description: The Center for Excellence in Learning and Teaching (CELT) is offering faculty awards of up to $5,515 to improve quality and productivity in learning and teaching in a course or program. Projects that strongly enhance student learning and have a demonstrable impact receive priority consideration. Proposals should address relevance to the University Strategic Plan. Funds awarded in spring of 2017 must be expended between July 1, 2017 and May 30, 2018. Proposals are due by Friday, March 31, 2017 at 5pm. Brief Description: The Faculty Development Program is offering faculty awards of up to $1,000 in Professional Development Funds to support faculty who need to attend a conference or support a project. The funds must be expended by 5/30/2017. Faculty Development is searching for the next director! Don’t forget to subscribe to the Caffeinated Cats podcast! Our newest episode is out now! Mary, Tracy, and I discuss the past, present, and future of alcohol at CSU, Chico with CADEC staff member Morgan Rosen. Link to it on soundcloud, itunes, overcast, or follow the podcast on facebook. A flurry of national stories has highlighted the topic of recording classroom discussions. 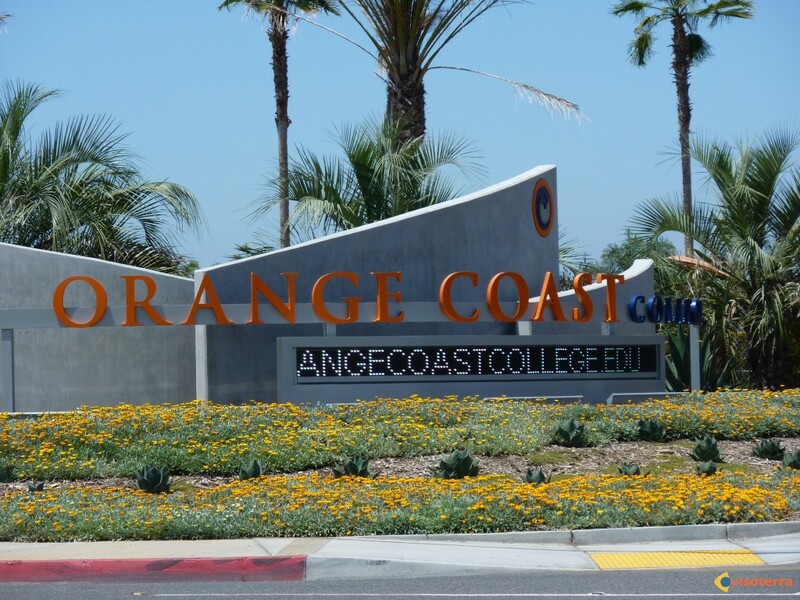 Earlier this year at Orange Coast College a student was suspended for recording his professor’s views about President Trump and then publishing them. At the recent Conservative Political Action Conference a workshop encouraged students to do that exact thing. Have you had a student record you? Without your knowledge? How would you know? These are all complicated questions, so I did some reading and research. FindLaw has an excellent article on the legal dynamics at work in these situations. California is a “two-party consent” state when it comes to recording. While this is typically in reference to wiretaps, they argue the same principles apply in the classroom. My strong recommendation is that if this if you are concerned about this you should create an explicit policy for the syllabus. Students often have legitimate reasons for wanting to record class, and their peers may have good reasons for not wanting a discussion recorded. Having a policy requiring consultation prior to recording is consistent with the law and gives you an opportunity to consider the interests of all your students. Join us for an open forum on Community Based Scholarship hosted by Faculty Development and Civic Engagement. Selvester’s 100 3/10 1-3pm. We held a popular workshop on Dossier Prep for Lecturers earlier this semester. Find the video archive and handouts here. This week you will have a flyer entitled L.E.A.R.N. in your mailboxes from the Campus Incident Response Team. The flyer is a quick-start guide for managing contentious classroom discussions. It is designed for you to keep in a notebook, post it outside your office, or clip it to the board in a classroom. As a companion the team has also produced an extended guide which you can find on the new “Our Democracy” page off the University main page. To save you a click, we are also posting it here as today’s teaching tip. Good luck out there! Contentious classroom discussions can be difficult for everyone involved. As an instructor you are often balancing the roles of teacher, peacemaker, and arbiter. This is the extended version of the L.E.A.R.N. quick-start guide distributed to campus. Listen to what your students are saying. Listening can be hard, especially if someone is saying something with which you strongly disagree. However, it is a precondition to everything that should come next. Listening allows us to understand, find meaning and agreement, and opens the possibility of reaching a better solution. In the same way that you want your students to listen to you, be open to being challenged by your students. If you make a mistake, apologize. Learn from it. Unsure how to get started? Watch this short informative video about active listening. Empathize with their position, especially when it is difficult. In the contemporary political environment this is often the missing piece. In the moment of a contentious classroom discussion it can be difficult to fully grasp why students feel the way they do, but making an effort is important. Try to consider why people feel the way they do rather than just focusing on what was said, but do so without casting judgment. Assume the best of others. If a student says something alarming or seemingly out of place, ask about it. Listen for the subtext; sometimes the most important thing is under what is said. Or, offer a tentative interpretation about the student’s feelings and intentions. Question in a manner that requests more information or attempts to clear up confusions. This part of the process can also be taken off-line with an email expressing empathy or a follow-up office hour visit. Empathy is a powerful teaching tool. This recent podcast is a great primer on why teaching with empathy is so effective. Assess what to do. Take a minute compose yourself. We have been conditioned to respond immediately and avoid silence, but you need to fight the impulse to act immediately. If things get heated, take a time out. Spend five minutes writing about what you feel. Then resume the conversation. This can be awkward, but it is okay to tell your class everyone should take a moment to process what was said and consider how to move forward. This tactic will be helpful for them and it gives you a minute to compose yourself. Your solution does not have to be perfect, but taking a minute will make it better. Respond directly, redirect the conversation, or end it. There is no one path forward from a difficult classroom conversation. Instead of having a go-to tactic, try being aware of the options at your disposal in a contentious classroom. You can respond directly and engage the topic at hand. This is a great option if you feel well equipped for the conversation and you feel the conversation can be productive for the class. You can redirect the flow of the classroom, frequently toward the usual classroom content. This is a good tactic if you feel a conversation is headed in an unproductive direction and it does not shut you off from following up later with a Blackboard or in person announcement to start the next class. The last resort in a contentious class period is to end class early. This should only be reserved for situations where the rest of class will be unproductive and/or people in the class feel like they might be at risk. This tactic re-centers your control in the classroom. If you end class, you should follow up with any student who may feel isolated, with an explanation to the class, and consult with your department chair. Negotiate how to move forward. You have so many options as you consider what should happen next. You can seek advice from your chair or from colleagues. You can communicate through Blackboard or in person to start the next class period. You can follow up with individuals or groups from the class. In some situations you may want to contact Student Judicial Affairs to get a better understanding of your options. Writing down what happened for your own purposes is a useful exercise regardless as you can make a note of details you may not remember later. The most important thing you can do is seek advice. You may be shaken up following a contentious classroom incident and getting guidance from someone with a clear head and a different perspective is the best thing you can do for yourself and your students. Dr. Sara Cooper has provided additional Book in Common Material. Check out this section ofthe CELT page for regular synopsis updates, discussion questions, and other resources. Got feedback on this tip? Got an idea for a tip? Send it along. Check out our new and improvedwordpress site here. Don’t forget to subscribe to the Caffeinated Cats podcast! Our fourth episode of the Fall is out now! Mary, Tracy, and I discuss the election with Juni Banerjee-Stevens and Mike Pence (not really, just checking to see if you were still reading). Link to it on soundcloud, itunes, overcast, or follow the podcast on facebook. Halloween is less than a week away. It is a tradition with a complicated history at Chico as Tracy, Mary, and our guest Holly explored in our most recent podcast. 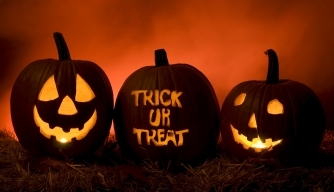 The responsibility of faculty around events like Halloween is not always clear. I usually took some time, especially when dealing with first-year students to share some of the same messages the Diversity and Inclusion office has emphasized. I felt it was a public service to talk to students about the implications of their actions and the impact they had on the reputation of the institution and their peers. Less than a year ago a prominent administrator at Yale resigned following backlash over her position on Halloween costumes, especially as they relate to race proving just how difficult these issues can be to address. Nevertheless, I would encourage you to share your insights with your students. There is an ethical part of this conversation when it comes to treating each other with respect, but there is a practical one too. With the ubiquitous nature of photos and videos, it is a reasonable to think that embarrassing costumes and behavior might very well be archived for future employers, parents, or partners. Our students represent the institution, but they also represent themselves. Be safe and respectful out there, and encourage your students to do the same. Don’t forget to subscribe to the Caffeinated Cats podcast! Our second episode of the Fall is out now! Mary, Tracy, and I explore Chico traditions just in time for Halloween! Link to it on soundcloud, itunes, overcast, or follow the podcast on facebook. Two years ago was an exciting time in my life. My wife was pregnant with our first child, I had turned in my dossier for tenure and promotion a month earlier and everything seemed to be happening at once. Much of the semester was a fog for me, but I do distinctly remember going to my public speaking course at this time in the semester, looking at the faces, and asking myself “who are these people?” The format of the class did not lend itself well to developing relationships with the students so I had never made it a priority, but in Fall 2014 I was especially distant. It was impossible to get to know 500 students, most of which watched online and I would never meet, so I made the mistake of not getting to know any of them. The problem with that thinking was, I ended up missing out and in turn, so did they. Getting to know your students is a frequent refrain of mine, but a recent Inside Higher Ed article highlighted a few things for me that really resonated. I highly recommend reading the linked article as it offers practical advice for establishing classroom rapport rather than just encouragement to do so. As a tease, I do want to highlight one of their suggestions and the connection to a growing trend on our campus. Drawing on the work of bell hooks in Teaching to Transgress, the authors suggest we model the same vulnerability we expect from our students. One increasingly popular tool for letting your students get to know you is “Digital Storytelling.” Celeste Jones and Seema Sehrawat have been promoting this tool and featured it at the recent CELT Conference as well as Academy-e Learning over the summer. The technology tools are simple and free, and the payoff is tremendous. There are a variety of tools, but one popular one is Adobe Spark. Digital Storytelling gives you a controlled environment to introduce yourself and a topic to your students with the aid of visuals. If you have questions or ideas about Digital Storytelling please contact Faculty Development. We are happy to provide help and put you in contact with people and resources. Last year I shared some thoughts and resources for the classroom relating to conversations about race. Many of those themes remain relevant today. Nationally, a wave of racist social media expressions and in-class episodes have many Universities reeling. Locally, many of us participated in a student led event on campus yesterday raising awareness about the experiences of minority groups in the United States and on campus. In light of these developments I asked my friend, colleague, and podcast co-host, Tracy Butts, to offer some insight to help us navigate these issues in the classroom. Here is what Tracy shared. On Thursday morning, I walked into my 8:00 a.m. class, and one of my white male students greeted me with “are we going to talk about Charlotte?” While my intention had been to talk about the officer-involved killing of a black man in Charlotte, North Carolina, the subsequent protests in response to the incident, and how it all related to the text we had been reading, Colson Whitehead’s Underground Railroad, I was certainly not expecting one of my students to initiate the conversation. Later that afternoon, I attended a Black Faculty and Staff Association (BFSA) meeting during which two students in attendance shared that they were dismayed and discouraged by the seeming lack of conversation regarding these current events, and they challenged us to model for them behaviors that they might be able to emulate. A number of us were chagrined by their comments because we have been talking—a lot—about these incidents—with one another, with colleagues, in classes, on social media. But, ultimately, we realized that the same university silos that make it difficult for us to see and know what our colleagues in other departments and divisions are doing are the same ones that make it difficult for our students to know what we are doing in our workspaces, classrooms, and conversations with others. Just like my colleagues in BFSA, I know that many of my faculty colleagues are talking about these issues amongst their networks of family and friends. Yet, it is crucial that faculty model for students what activism and social justice looks like in our respective academic disciplines, that we demonstrate how our fields take up and respond to issues of injustice, inequity, privilege, and oppression. Do not reserve your discussions about social issues simply for the members of your social networks. Do not assume that your students who are not of color are unaffected by, uninterested in, indifferent to, or even struggling themselves to make sense of these issues. Do let your students know that your care and goodwill towards them extend beyond their academic success to their personal well-being as well. Finally, do not be afraid to engage your students in difficult conversations. Not only are they watching and waiting for your validation, your support, they might also surprise and teach you something. Dr. Sara Cooper has provided addition Book in Common Material. Check out this section of the CELT page for regular synopsis updates, discussion questions, and other resources. The CELT Conference preliminary program and registration link are now available. See you on October 6-7! Don’t forget to subscribe to the Caffeinated Cats podcast! There will be a new episode posted in the next few days. Link to it on soundcloud, itunes, overcast, or follow the podcast on facebook.